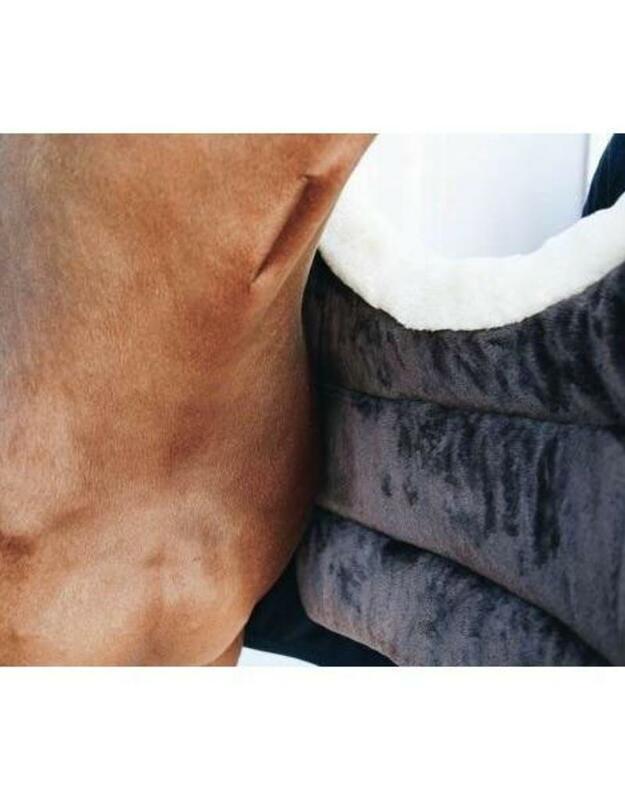 The Winter BIB is the ideal path to protect your horse's chest against abrasions caused by blankets. The pad consists of two flaps that you put over the front and the chest closures of your blanket. A flap will be on the inside, immediately against the skin of the horse. The second flap is hanging on the outside of the blanket. In this way, together with the notches provided at the ends of the BIB, the pad is held in place. The flap that is against the skin is provided with an artificial rabbit fur lining. This is an extremely soft fabric that offers an extremely comfortable feeling. 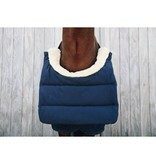 Artificial sheepskin is provided on the bib of the BIB to prevent neck rubbing and provide even more comfort. The outer fabric of the BIB is made of 100% perforated polyester making it very soft and extremely comfortable for the horse. In addition to preventing abrasions, the BIB also distributes the pressure that the blanket exerts on the chest. 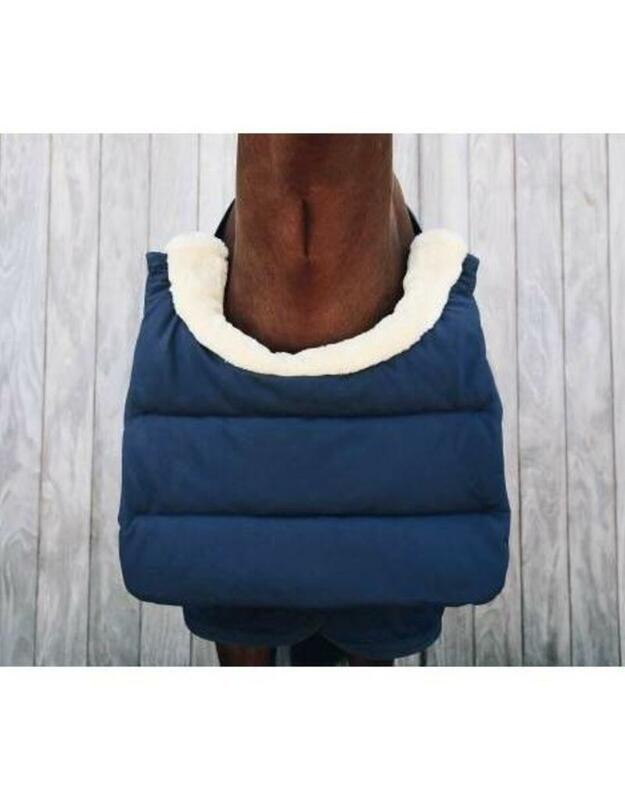 The BIB can also be used in the same way to protect the horse's withers. This pad can be used in combination with all kinds of blankets. Winter BIB is machine washable at 30 °, no dryer.